When it comes to baked goods, kids love simplicity. These easy healthy banana muffins with applesauce, whole wheat flour and no refined sugar win every.single.time. 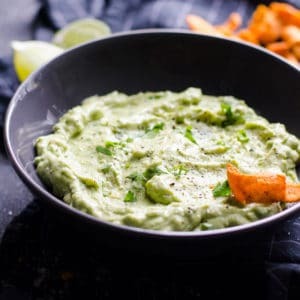 Moist, kid friendly and an absolute hit with everyone. See reviews and comments yourself! 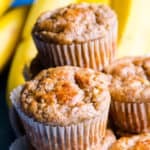 What Are Healthy Banana Muffins Ingredients? What Are Over Ripen Bananas? Choose very ripe bananas that are yellow with many brown spots. Yellow bananas with many brown spots to brown patches are good. Bruised bananas are even better. Scary looking brown bananas are awesome. My husband always tries to throw them away. And I scream “NOOOO”. Can I Use “Normal” Bananas? No. Regular bananas do not contain enough sugar to make moist healthy banana muffins. But below are tips how to make bananas ripen faster. Paper Bag: Place a few ripened bananas or apples with unripened ones in a brown bag. Close tightly and wait 1-2 days. The ethylene gases from the ripened fruit will speed up the ripening. Bake: Place unpeeled bananas on a baking sheet and bake at 350 for 15-20 minutes. Let them cook, remove black skin and mash. Microwave: Not my favorite method but it works. Peel and slice bananas, place them on a plate and microwave for 30 seconds or until they sizzle. Can I make a small batch? Yes. 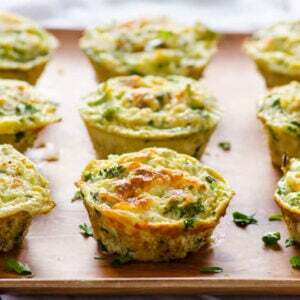 Cut recipe in half and make 6 muffins. But why would you? 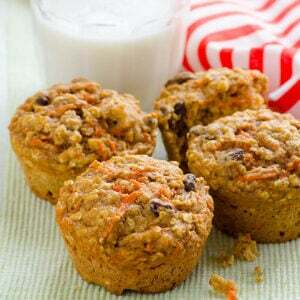 You can freeze these healthy muffins for up to 3 months! Can I make mini muffins? Yes. 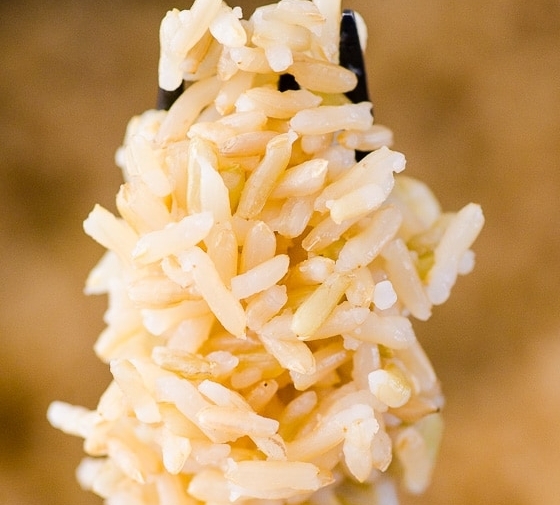 Bake for 15 minutes and do a toothpick test. Bake more if necessary. Can I bake these muffins as a bread? Check out my healthy banana bread. 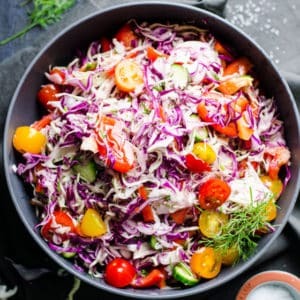 It is very similar recipe and guarantees 100% results. Preheat oven to 375 degrees F and spray non-stick 12 muffin tin with cooking spray. Set aside. In a large mixing bowl, add bananas and mash well. Then I add eggs and using same masher I “whisk” the eggs. Add applesauce, maple syrup, oil, vanilla, baking powder and soda and salt. Whisk to combine. Or I use the same masher to “whisk”. Add flour and gently stir until well incorporated. 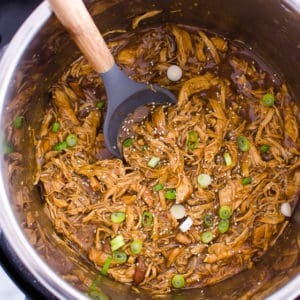 I give a few stirs and let batter sit a few seconds. Then stir in a different direction. Try to stir from the very bottom. When you mix vigorously for a long period of time, gluten in flour starts to develop. Muffins will come out rubbery and tough. 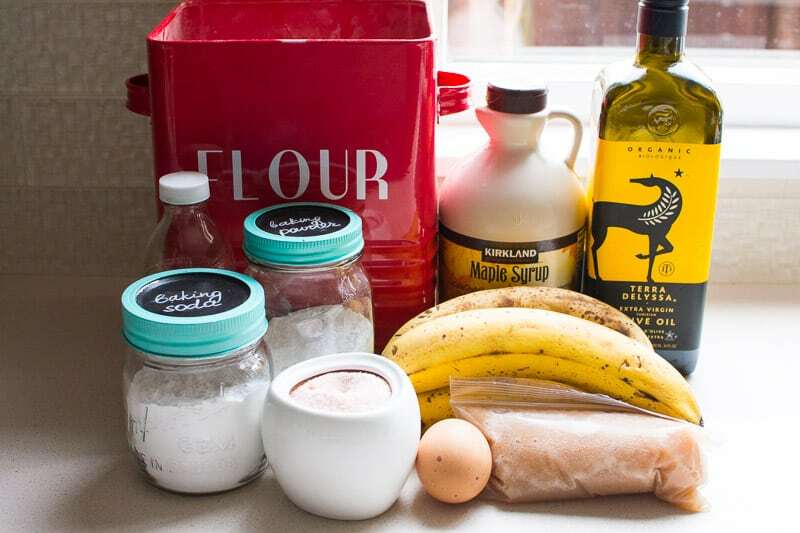 This recipe is for plain banana muffins. 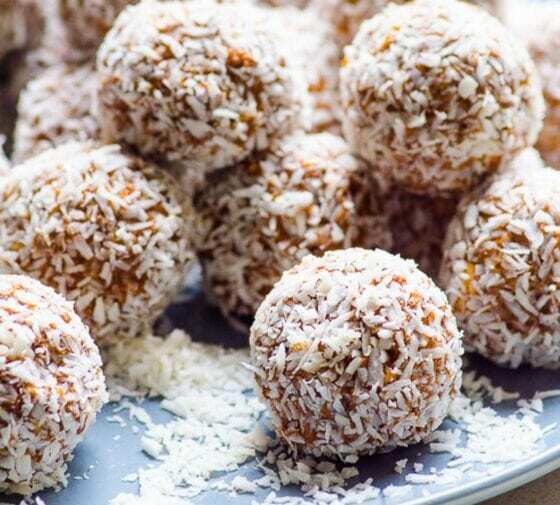 You can add 1/2 cup to 1 cup of these add ons without any other changes to the recipe. Fill each opening almost full with batter (I used regular ice cream scoop) and bake muffins for 22 minutes or until a toothpick inserted in the centre comes out clean. Let muffins cool for about 5 minutes and then transfer to a cooling rack to cool off completely. 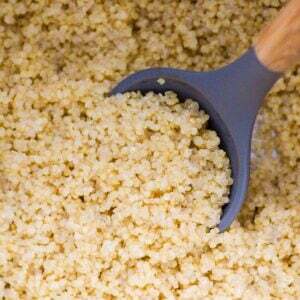 The only flours I recommend to use is whole wheat flour and spelt flour. I do not suggest to use all purpose flour or coconut flour because all flours act differently. 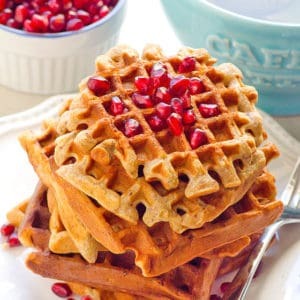 You may be OK with white whole wheat flour or wheat pastry flour. 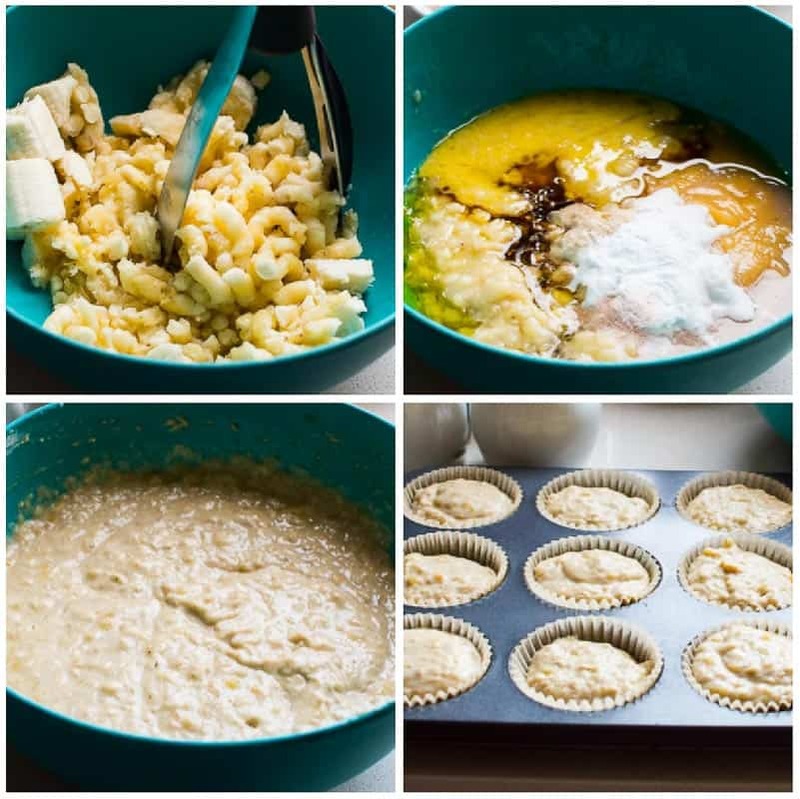 If you would like to use almond flour, check out my almond flour banana muffins. 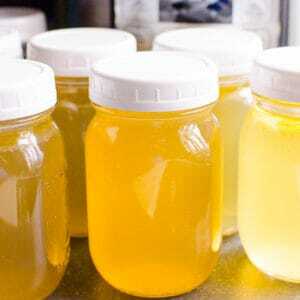 Honey, agave or any other liquid sweetener works. Not dry sweetener like sugar. you have to keep dry to wet ingredients ratio. 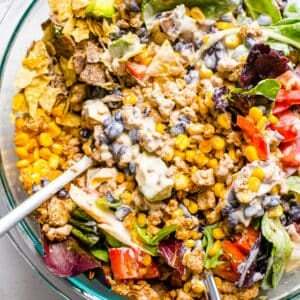 Substitute with Greek yogurt 2% and higher fat content. Please do not use non-fat yogurt. Muffins will not taste good. Avocado, olive, grapeseed oil works. Coconut oil is great too. It has to be melted and measured after. Banana zucchini muffins full of chocolate chunks. 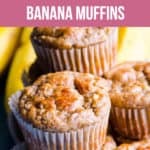 Almond flour banana muffins – the most popular muffins on ifoodreal.com! Whole wheat strawberry banana protein muffins with a protein boost for weight loss. Healthy banana bread – the only recipe you will need! 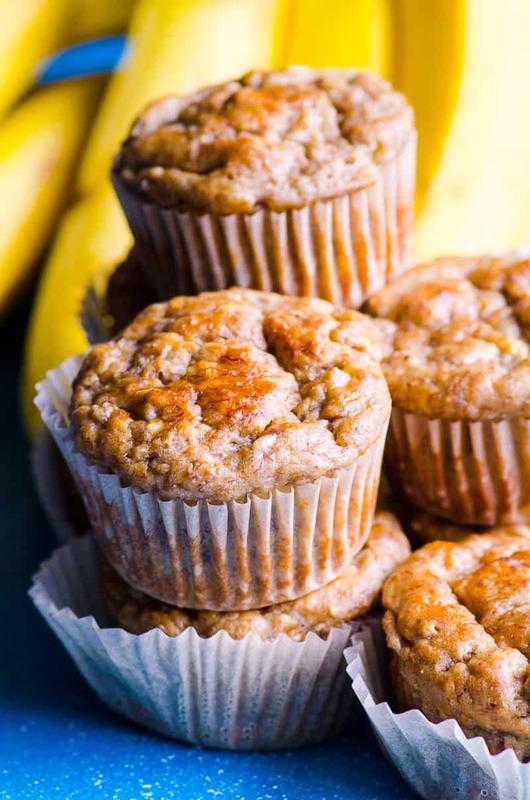 Banana oat protein muffins– perfect for breakfast on the go. 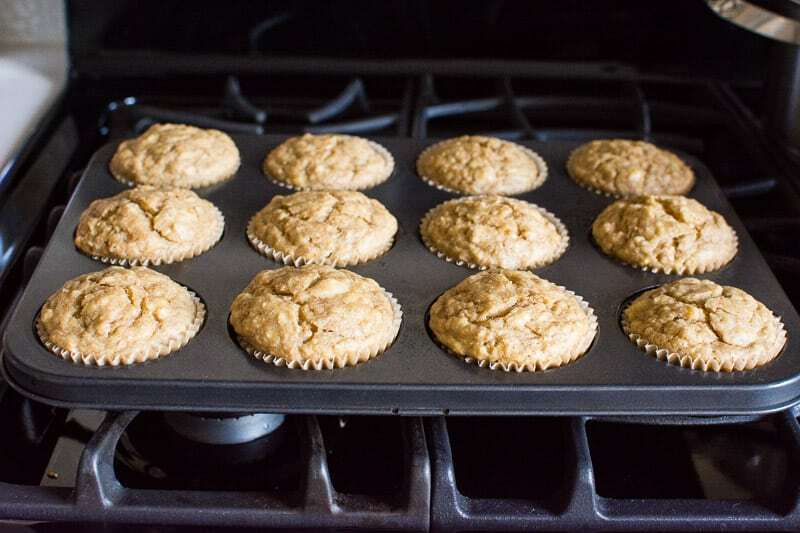 Easy Healthy Banana Muffins Recipe with applesauce, whole wheat or spelt flour and no sugar. 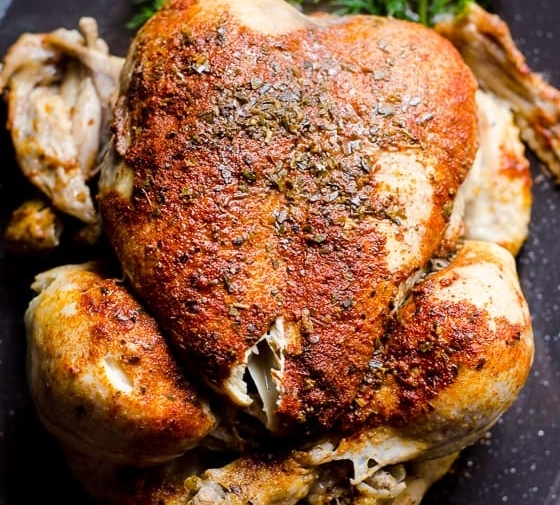 Moist and an absolute hit with everyone! In a large mixing bowl, lightly whisk the egg. Add bananas and mash well. Add applesauce, maple syrup, oil, vanilla, baking powder and soda and salt; whisk to combine. Add flour and gently stir until well incorporated. Do not over mix otherwise muffins will be tough. Fill each opening almost full with batter (I used regular ice cream scoop) and bake for 22 minutes or until a toothpick inserted in the centre comes out clean.